Porsche Maintenance - Save $50! When it comes to owning a Porsche, you understand that high class vehicles require quality and experience when it comes to repair and service. At Sherman Oaks Exclusive in Sherman Oaks, CA, we are the experts when it comes to Porsche vehicles. Our trained and certified technicians are experienced with all makes and models of Porsche and can handle any service or repair. We have remained the only trusted Porsche repair shop in Sherman Oaks since 1977 and counting. Our shop has the most modern tools and factory equipment to handle your vehicle with care and precision. 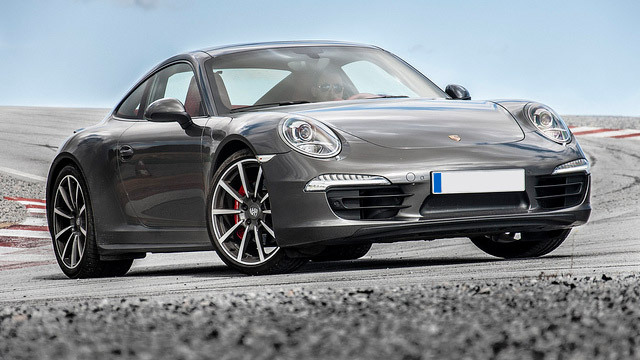 Whether you own a Cayman, Boxster, GTS, Carrera, Panamera, and more, our professionals are here to help. Luxury vehicles are more complex than a standard car, which is why it takes a specialist to service and repair your Porsche correctly. We can perform any service your vehicle may need, including brake repair, suspension repair, wheel alignment, engine service, and much more. Our dealership also sells quality pre-owned Porsche vehicles at great prices. If you expect your Porsche to run in top condition at all times, it is important to stay on top of your vehicle’s factory recommended services and regular inspections. At our Sherman Oaks auto repair shop, we help remind you of upcoming services and ensure that only the best parts are used for your vehicle for all repairs. Our Porsche auto repair shop offers a 1 year or 12,000 mile warranty on qualified repairs and services. At Sherman Oaks Exclusive in Sherman Oaks, CA, we know luxury vehicles. The Sherman Oaks Exclusive team work hard day in and day out to provide unparalleled quality to every luxury car owner who comes through our doors. For the highest quality Porsche repairs in the area, bring your vehicle into our professionals or give us a call today.